For the 2013 Japanese film, see Bilocation (film). Bilocation, or sometimes multilocation, is an alleged psychic or miraculous ability wherein an individual or object is located (or appears to be located) in two distinct places at the same time. The concept has been used in a wide range of historical and philosophical systems, ranging from early Greek philosophy to modern religious stories, occultism and magic. The concept of bilocation has appeared in early Greek philosophy, shamanism, paganism, folklore, occultism, magic, the paranormal, Hinduism (as one of the siddhis), spiritualism, Theosophy, the New Age and mysticism in general, as well as Christian mysticism and Jewish mysticism. Several religious figures have historically claimed to have bilocated. In 1774, St. Alphonsus Liguori claimed to have gone into a trance while preparing for Mass. When he came out of the trance he said that he had visited the bedside of the dying Pope Clement XIV. Several Christian saints, monks and Muslim sufis are said to have exhibited bilocation. Among the earliest is the apparition of Our Lady of the Pillar in the year 40. 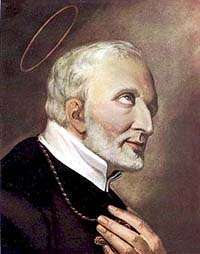 Other Christian figures said to have experienced bilocation include St. Alphonsus Marie De'Liguori (Founder of Redemptorist Congregation), St. Anthony of Padua, Ursula Micaela Morata, St. Gerard Majella, Charles of Mount Argus, Padre Pio, St. Severus of Ravenna, St. Ambrose of Milan, María de Ágreda, and St. Martin de Porres, María de León Bello y Delgado, as well as Pope Cyril VI of Alexandria. St Isidore the Laborer claimed to be praying or attending to Mass in Church while at the same time plowing in the fields. In the 17th century, persons accused of witchcraft were reported to appear in dreams and visions of witnesses. The trials at Bury St. Edmunds and Salem included this "spectral evidence" against defendants. Matthew Hopkins described the phenomenon in his book The Discovery of Witches. The English occultist Aleister Crowley was reported by acquaintances to have the ability, even though he said he was not conscious of its happening at the time. Bilocation figures heavily in David Lynch's film Lost Highway (1997) and Thomas Pynchon's novel Against the Day (2006). A mystical story that involved Soviet author Yevgeny Petrov served as inspiration for the film Envelope (2012) starring Kevin Spacey. Skeptical investigator Joe Nickell has written that there is no scientific evidence that bilocation is a real phenomenon and that cases are often from anecdotal reports that cannot be verified. Nickell listed self-delusion, hoaxing and illusion to explain alleged cases of bilocation. ↑ Dodds, E. R. (2004). The Greeks and the Irrational. University of California Press. p. 145. ISBN 978-0-520-24230-2. 1 2 Znamenski, Andrei A. (2004). Shamanism: Critical Concepts in Sociology. New York: Routledge. pp. 248–249. ISBN 0-415-33248-6. ↑ York, Michael (2005). Pagan Theology: Paganism as a World Religion. NYU Press. p. 41. ISBN 0-8147-9708-3. ↑ Olliver, C. W. Analysis of Magic and Witchcraft. Kessinger Publishing, 2003. pp. 117, 155–6. ISBN 0-7661-5699-0. ↑ Ramsland, Katherine (2002). Ghost: Investigating the Other Side. Macmillan. p. 27. ISBN 0-312-98373-5. ↑ McEvilley, Thomas (2002). The Shape of Ancient Thought: Comparative Studies in Greek and Indian Philosophies. Allworth Communications. pp. 102, 262. ISBN 1-58115-203-5. ↑ Olcott, Henry Steel (1895). Old Diary Leaves: The True Story of the Theosophical Society. G. P. Putnam's Sons. p. 388. ISBN 0-524-07951-X. ↑ Prophet, Elizabeth Clare (2001). The Masters and the Spiritual Path. Summit University Press. p. 331. ISBN 0-922729-64-6. ↑ Herzog, Johann Jakob; Philip Schaff; Samuel Macauley Jackson; Albert Hauck; Charles Colebrook Sherman; George William Gilmore; Lefferts A. Loetscher (1910). The New Schaff-Herzog Encyclopedia of Religious Knowledge: Embracing Biblical, Historical, Doctrinal, and Practical Theology and Biblical, Theological, and Ecclesiastical Biography from the Earliest Times to the Present Day. Funk and Wagnalls Company. p. 69. ↑ Hastings, James; John Alexander Selbie; Louis Herbert Gray (1917). Encyclopaedia of Religion and Ethics. T. & T. Clark. p. 101. ↑ Samuel, Gabriella (2007). The Kabbalah Handbook: A Concise Encyclopedia of Terms and Concepts in Jewish Mysticism. Jeremy P. Tarcher. p. 51. ISBN 1-58542-560-5. ↑ Day, Malcolm (September 2002). "Blood brother: Padre Pio". Fortean Times. ↑ This holy virgin burned with a most ardent love for God and for the salvation of souls. One day, she beheld in a vision all the nations of the world. She saw the greater part of men were deprived of God's grace, and running headlong to everlasting perdition. She saw how the Indians of Mexico put fewer obstacles to the grace of conversion than any other nation who were out of the Catholic Church, and how God, on this account, was ready to show mercy to them. Hence she redoubled her prayers and penances to obtain for them the grace of conversion. God heard her prayers. He commanded her to teach the Catholic religion to those Mexican Indians. From that time, she appeared, by way of bilocation, to the savages, not less than five hundred times, instructing them in all the truths of our holy religion, and performing miracles in confirmation of these truths. When all were converted to the faith, she told them that religious priests would be sent by God to receive them into the Church by baptism. As she had told, so it happened. God, in his mercy, sent to these good Indians several Franciscan fathers, who were greatly astonished when they found those savages fully instructed in the Catholic doctrine. When they asked the Indians who had instructed them, they were told that a holy virgin appeared among them many times, and taught them the Catholic religion and confirmed it by miracles. (Life of the Venerable Mary of Jesus of Agreda, § xii.) Thus those good Indians were brought miraculously to the knowledge of the true religion in the Catholic Church, because they followed their conscience in observing the natural law. Muller, Michael. The Catholic Dogma: "Extra Ecclesiam Nullus omnino Salvatur"